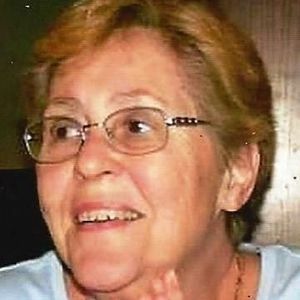 CENTRAL CITY - Nancy Sue Chaney, age 73, of Central City died Friday, December 16, 2016 at her residence. Ms. Chaney was born January 17, 1943 in Muhlenberg County. She was a Convenience Store Manager and member of New Testament Christian Church. She was preceded in death by her husband Lewis Chaney and her parents Elliott and Annie Ramsey. She is survived by her sons Lewis Chaney, Jr. of Greenville and John Steven Chaney of Central City; daughters Sherrie (Steve) Stirsman of Bremen, Cathy (Johnny) Mallory of Belton and Mary Beth (Jason) Landrum of Bremen; daughters-in-laws Judy Mayes Chaney and Tammy Murphy; 13 grandchildren and 6 great-grandchildren; sister Elizabeth (Tom) Carroll of Owensboro. Funeral services will be Monday, December 19, 2016 at 10 AM at Tucker Funeral Home in Central City with Rev. Leroy Rearden officiating. Burial will be in Rose Hill Cemetery. Visitation will be Sunday, December 18, 2016 from 5:00 - 8:00 PM at the funeral home. Online condolences may be made at www.tuckerfuneralhomes.com. Nancy Sue and I had the same grandmother (Claudia Ramsey) and I would see her when I visited when she was a little girl. My deepest condolences to her family. She was one of the sweetest and cutest little girls I have ever seen. Elizabeth Ann, I also remember you. Your Dad, Elliot and your mother Elizabeth, were my uncle and aunt. I received the obituary from Frances Jarvis. Elizabeth Ann, Sherrie, Cathy, Mary Beth and all, Nancy was a portrait of courage. She fought the good fight and is at rest in the arms of Jesus. She has been an inspiration. I will miss my best friend and sister in Christ. We are sending you hugs and prayers in the death of your sister. May she RIP.